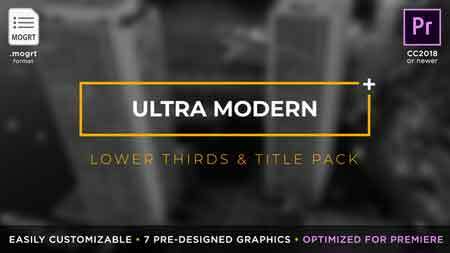 Ultra Modern Titles and Lower Thirds is a set of customizable broadcast-quality lower third graphics and title panels, that will give a sleek, ultra modern look to your next video project. 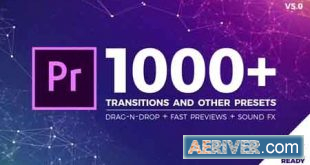 Ultra Modern Titles and Lower Thirds does not require any 3rd party plugins, and can be customized in just a few easy steps by simply using the Essential Graphics panel inside Adobe Premiere Pro. As with all MotionRevolver projects, we’ve included a comprehensive video tutorial to show you how it all works. Easily customizable. Easily change the placeholders, colors, textures, text, font, etc.